I used to have a super weird obsession with movies. My mum and I would go to the movies almost every Thursday, and I was on a mission to own every movie on DVD. Yes, I wanted to own all of them. I don't think I could go a week without buying a DVD - what a weird obsession, right? I had 900 at last count, though I stopped counting around then because I was scared to get into the thousands. Thankfully, I moved overseas and couldn't bring all my DVDs with me, couldn't be bothered starting over from scratch, so the weird DVD buying addiction stayed there. The point of all that is that I used to watch a movie every single day.. now, not so much. I still like movies, I'm just not on a 'gotta watch and own 'em all!' quest like I was. I'm more likely to pick up a book than watch a movie, though I am way more likely to watch a movie than a TV show. I'm also way more likely to rewatch a movie than I am to reread a book. Anyway, longest intro ever. I thought I'd share a few movies I've seen recently, some new, some not so new. And by recently, I mean in the last year or so. I thought the book was better, but the movie was super cute. I surprisingly did not cry, so unusual for me, but maybe it is because I knew it was coming? Not sure, but I liked it. I quite like Emilia Clarke. I watched this on the plane to LA (don't you love when shorter flights have free entertainment!) and the trailer looked hilarious. I really enjoyed it, though it wasn't all funny like the trailer suggested. I thought the ending was freaking adorable, and it has Bilbo in it. Another one I watched on the plane, because I'm all about kids movies. This was a cute, sweet, good-hearted typical Disney movie. Good message for kids. Okay, I seriously watched this like a year ago, but I still remember it and really enjoyed it. Much funnier than I expected, and I just thought it was really good. KC enjoyed it too, we rarely like the same movies. I'm not gonna lie, I've never been a huge Jungle Book fan. I could take or leave it. KC on the other hand, I reckon this is his childhood favourite though of course he tried to be all macho and 'I thought I'd take you to see The Jungle Book' when that man would never set foot inside a movie theatre he didn't want to be in... so anyway. Honestly, I liked this okay enough but overall eh. KC loved it. I imagine it's how I feel about Cinderella or will feel about Beauty & the Beast. 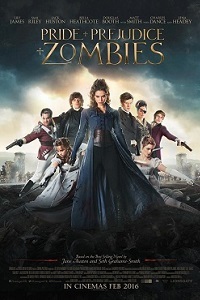 I had super low expectations for this when I saw it back in February, because the book was just so-so (it was seriously just P&P with zombies thrown in) but the movie was much better. I mean, it was still dorky and fancy movie critics probably didn't like it, but I loved it. 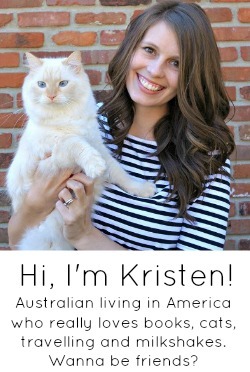 Do you remember when I bitched about the guy they chose for Darcy? Probably not, but anyway - I was wrong, he was all sorts of fabulous. I knew nothing about Deadpool when KC suggested we go see it, I kinda thought it would be a normal superhero type movie - which should have given me a clue, because KC won't go and see those. Anyway, if you haven't seen it already, it's super inappropriate and over the top, but hilarious. This movie is all sorts of corny and cheesy and dorky as all get out, but that is everthing I love in a romantic comedy. I've actually seen this one like 5 times in the past year, it's my go to lazy/sick/hungover/after a long run movie. Plus, David Tennant. Okay, full disclosure, I first saw this movie years ago (it's over 10 years old!) but it's another one of those that I watch when I'm not feeling well or want to be lazy, it always makes me laugh and cry and KC always makes fun of me, but I can't help it. I love Emma Thompson, and of course Colin Firth & Kelly Macdonald. Saw this on the weekend and have lots of feelings! I am a long time Bridget fan. Lame as this sounds, it felt like catching up with an old friend. I laughed so hard and I totally cried like a lunatic. I had fairly low expectations because some things should be left in the past, and you never know if they will ruin something you love. While I was never a fan of Wickham Daniel, I was unsure about McDreamy. But I thought it flowed and worked well. I loved it. Doesn't mean everyone will, but I absolutely did. If I had seen this with KC I probably wouldn't have laughed or enjoyed it as much because I would have kept looking at him and being like OMG and then oh, you don't get it. But I saw it with my MIL who is as big of a fan as me, and it was fabulous. I actually only just found out that Dan Stevens (Matthew from Downton) is to be the Beast in B&tB which I'm super curious about. I can't wait to see how they pull that off. When we went to see Bridget Jones' Baby, we saw a trailer for a movie called A Dog's Purpose and I'm not kidding, the trailer made me cry. Watch it and see if your emotions betray you as well. Happy Monday! Have you see any of these? I used to go weekly to Walmart and forage through their cheap DVD bin. It was like an addiction. I love watching movies. We used to watch one a night. Before kids. Matt even installed a movie theater and has a popcorn machine so we take our movie watching seriously. Some of these I would love to see though!!! I haven't seen any of these! Thanks for sharing! 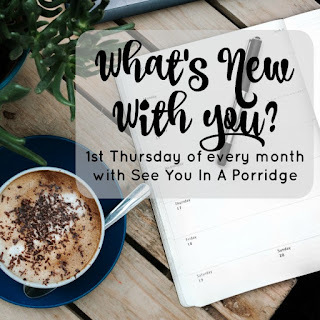 I still want to see Me Before You! And read it as well. I keep hearing Deadpool is hilarious, even though I'm not a superhero kind of person, I think I'll add it to the list. My mom and I are already planning on seeing A Dog's Purpose together! We're both such big dog people that we have to see every sappy dog movie together. Is it sad that I haven't seen ANY movie on this list? I'm the worst movie goer ever. CAN'T WAIT FOR B&TB!!!!!!!!!! Emma Watson... YASSS KWEEEENNN! I had a co-worker that would go to Target every Tuesday to get the new releases! You're actually making me feel like I can handle Me Before You (don't want to cry terribly like in the book, haha), but maybe knowing the ending will make it less sad for me too. I really want to see the Jungle Book-- I'm with KC and it was one of my favorites growing up! 900 movies?!?! Dang, girl! That's quite a bit of movies. I haven't been to the theater to see any movies lately... but you better believe that I have a girls' weekend trip planned for when Beauty & the Beast comes out. Cannot wait to see that one! I want to see Me Before You, of course. I also want to see Jungle Book and the other live-action Disney movies. Teh German watched JB on the way to CA and he said it choked him up since that was one of his favorites as a kid. In strange things, we watched The Little Prince this weekend. I still don't overly get the story other than the blatant "don't forget your inner child" but the cinematography was OUTSTANDING. You didnt know he was going to be the Beast? Have you not seen the video of the table read with him & Emma Watson? His voice is GREAT for the Beast!!!! I used to be obsessed with movies too. In junior high/high school my best friend & I would go every Friday. I also used to work in a video store & belonged to one of those movie of the month clubs. Now I almost never go to the movie theater & buy them even less. I'm so not a movie watcher - I've seen exactly one of those listed above . 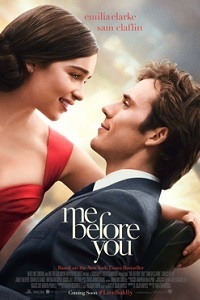 . . Me Before You! Loved it and totally cried but I haven't read the book - gasp, I know! I love Bridget Jones' and need to see that one! I cried at the Dog's Purpose trailer like a baby . . . can't wait for that one! I still need to see Me Before You and Deadpool. Other than that those and Bridget Jones I haven't heard of the rest of these. I am so out of it when it comes to movies these days. Confession: I have only watched about 15 minutes of the first Bridget Jones last year around Christmas. I fell asleep. Oops. Yes to all of these!! Me Before You was great, not as good as the book, but did it enough justice I thought. Deadpool was hilarious and totally inappropriate, but I'm excited if there's a sequel. Still haven't seen Zootopia or Whiskey Tango Foxtrot, but they are both on my list. 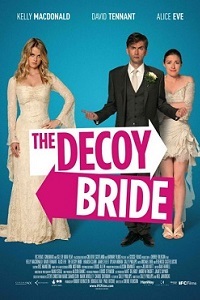 I'll have to watch Decoy Bride, sounds like the cheesy corny rom-com's I'm into lol. Finally I saw Bridget Jones's Baby and loved it too!! I did however take my hubs along (but he's British and can enjoy the humor in it), he surprisingly liked it. I of course cried during parts, but loved it! YES to A Dog's Purpose, we saw the trailer and I was in tears!!! I really love movies too, although own very few. I'm much more likely to buy a book over a DVD. That being said, I'm so glad you shared your secret love for Nanny McPhee because I love that movie! I feel like such a dork, but it's a go-to when I'm bored or blue! 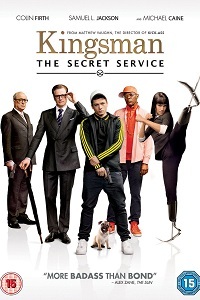 I also really enjoyed Kingsman: The Secret Service, much more than I expected. I haven't seen Zootopia yet, but will. I also love animated flicks. :) While I can't necessarily claim to feel that way about Bridget, I absolutely 110% understand the sentiment of "catching up with an old friend". I feel the same way about my favorite characters too. I really want to see Me Before You. I'm like you that I am compelled to watch any book made into a movie even if I didn't really like the book. Although I did like that book. I also want to see the new Bridget Jones. Definitely will not be taking the husband along to that one. We have SUCH different taste in movies we almost never watch anything together. Speaking of Downton actors, I watched Notting Hill this weekend and one of Hugh Grant's goofy friends is a very young Hugh Bonneville. So funny to see Lord G in a different role. A Dog's Purpose is a book and I read it and cried no less than four times. Some of those times were like BAWLING level. Ugh, so good, but so emotional. There's a sequel or companion book or something that I want to read too. I was super excited to watch The Jungle Book, but I thought it was pretty lame too. 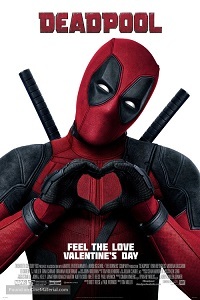 Deadpool was way funnier than I was expecting, I loved it! OMG - I just saw that same trailer for a Dog's Purpose, and I was sobbing. Not sure I'll be able to sit through that one. And, I am so so excited for Dan Stevens to be the Beast. But I have an infinite love for him, so he can do no wrong in my book. :) So many movies! I couldn't help but cry at Me Before You, but at least I had Ryan with me and he immediately made me laugh. I still have to see/read P&P&Z, and I hope to see Bridget Jones in a couple weeks when I see my mom! I really loved Me Before You (book & movie). I thought all the actors were perfect for the characters, and I didn't cry either! I think if they actually showed Patrick's betrayal of Lou and the scenes in Switzerland then I might have cried. I loved a dogs purpose and a dog's journey! When I saw that they were making it into a movie I got really excited but at the same time I am going to have to take all of the tissues with me! I want to see Bridget Jones baby but I probably won't see you until it comes on DVD because my husband has absolutely no interest and I don't really get out to see movies on my own anymore. We are movie people here too though and we have just tons of them! 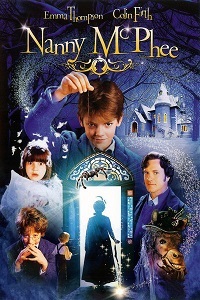 I think Nanny McPhee is an adorable movies! 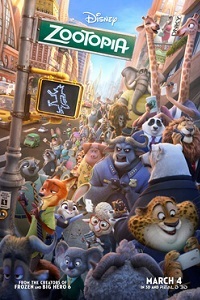 I also really enjoyed Zootopia! I'd like to see Whiskey Tango Foxtro- although my grandparents hated it, lol. I thought The Kingsman was ok... but not amazing. Cute lead actor, though! Haha! It's so cute that you went to see a movie with you MIL and have a P&P-love in common! I used to be big on watching movies all the time too! My best friend in high school and I would go every week (though she was the one with the massive DVD collection). I haven't been watching movies lately, though. As in, I don't remember the last time I've been in a movie theatre. 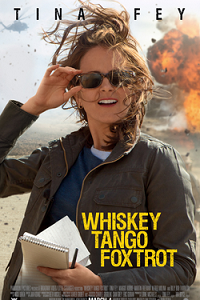 I've been wanting to see Whiskey Tango Foxtrot, though! I haven't seen any of these movies! I want to watch all the Bridget Jones movies - I really like Renee Zellweger. The last movie we watched was The Gift. It was okay. We don't go to the movies very often because the one in our town is gross! Ha! There's a few movies out this winter we want to see. You like the actor who played Darcy??? ewww lol, I really didn't like him. Ahhh.... David Tennant! Love that movie, I need to watch it again, it's been a while. I might watch the "Bridget Jones" movies soon, or maybe read the book. I don't really like Renee Zelwegger, but I hear that she is better in those movies than usual. I love your passion for books and movies! 900 DVDs is quite the collection although I'd rather collect movies than something boring like stamps! Glad to hear you loved the new Bridget Jones movie and it was funny, now I gotta go see it! I love The Decoy Bride, and P&P&Z is awesome! Deadpool was hilarious and we loveeed Zootopia. We're those geeky people who never grow up and loveeee watching kids movies! I love Nanny McPhee too! I'd like to see Bridget Jones' Baby! I have some of the concerns you voiced, so I'm glad to hear that you enjoyed it as much as you did. OMG that's hilarious about your DVD collection/obsession. I used to feel the same way - wanting to own as many DVDs as we could, but I didn't reach numbers like you did. I also felt the same way towards CDs. I cringe at the thought of how much money I spent over the years on the two! I rarely like to rewatch a movie though, so I'm not sure why I even wanted to own them, lol. I cried a lot in Me Before You and I had just reread the book right before seeing it so I totally knew what was coming, but I think that's why I did cry so much? Like, I would start crying in anticipation for what was going to happen lol. Didn't you think Nathan was super cute? I did not picture him to be cute in the book for some reason. As we discussed before the animal themed Disney movies are the ones I prefer, so I love The Jungle Book. Because I love it so much, I'm not all that interested in the live version. I still haven't seen Me Before You. I will. Me Before You looks pretty good... I haven't read the book, but Sam Claflin is a cutie! I also sobbed watching A Dog's Purpose trailer, I honestly don't know if I'm stable enough to see it in theaters. Oh that's Dogs Purpose trailer?!?! I think they should have ushers at the door for that movie with boxes of Kleenex -- I was like, damn, I can't even make it through the trailer without tears! And I'm so jealous you saw Bridget -- I want to see it so bad! I'm so out of the loop with movies! The only ones of these I've even heard of are Bridget Jones and the Jungle Book. Do you think kids would like Nanny McPhee? Just wondering since it looks like there are kids in the movie and I'm always looking for family-friendly flicks! i cant believe i've only seen one of these. slacker over here! I really need to see BJB already. Heard it was awesome and I'm so glad especially after all this time! I've put off seeing Me Before You because the books are always better - but glad to hear they didn't ruin this one! (I will never get over My Sisters Keeper lol) And I'm dying to see the new Bridget Jones movie! I haven't seen any of these, but I do really want to see The Jungle Book and Me Before You. Don't hate me, but I have really no relationship with Bridget Jones, hah! I tried watching Bridget Jones' Diary on Netflix like last year I think for the first time and I fell asleep—gasp! If I'm not mistaken though I may have watched if after running a half marathon, so my falling asleep isn't an indicator that I didn't like it. Maybe I'll give it another go. We could be movie-going best buds. I thought Bridget Jones's Baby was so cute and well done, too. Although, sheesh RZ looks so different! I had no idea Matthew was playing the Beast! Now I'm all kinds of excited. I hope it lives up to it. I'm scared to see Me Before You because I think it'll be too sad! I want to see Bridget Jones baby so badly!!!! I'm so happy to hear it lives up to the hype! We watched Whiskey Tango and I was so upset that it wasn't the comedy they portrayed it to be!! I already told you how happy I am that you liked Bridget Jones - I can't wait to see it!! 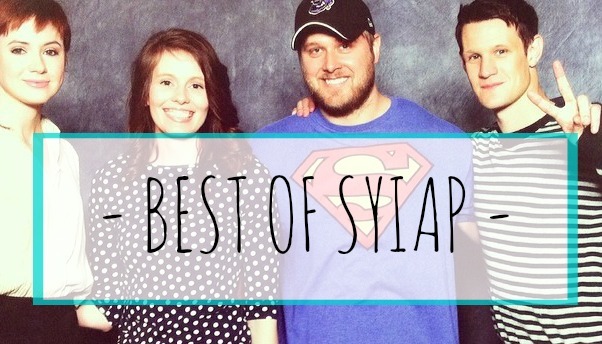 I loved the Kingsman which I didn't think I would LOL! omg, I had NO IDEA they were turning "A Dog's Purpose" into a movie! That book had me hungover from crying so hard the night before, man it was so touching. Oh no/I'm excited. I haven't seen any of these! But I do like the way you said "I quite like Emilia Clarke" (so fancy!) and then "I reckon KC..." (so southern!). ha! Deadpool is a movie I want to see. I'll probably catch it when it's out on DVD. I recently watched Don't Breathe in the theater. It was different, that's for sure. I used to own a lot of DVDs too, although not close to 900! I just watched Whiskey Tango Foxtrot a few weeks ago and liked it. Kingsman was so oddly good and hard to describe. 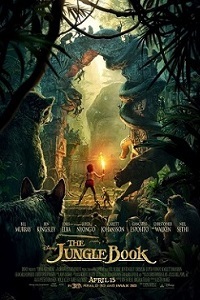 I'm really excited about Beauty & the Beast, and I liked The Jungle Book but was similarly 'eh' on it. I was never a huge fan, but I like all Disney movies. I do the same thing with any trailer with a dog in it. I can't deal - the last one was a movie about a dog bomb sniffer or something and the dog looked so sad in the trailer, I cried. I'm with you on rewatching a movie vs. rereading a book, though I think I own a total of like, 9 DVDs! I had no clue about Deadpool either, but I loved it! I hear they are making another one too which of course I'll go see. I want to read the books of the first two before I see them, and of course I need to see who Bridget Jones finally picks! haha my man was exactly like KC regarding the Jungle Book - didn't do really anything to me, but he was so excited to go see it in the theatre! We watched kingsmen on Netflix a few months ago. It was weird but good! That trailer for the dog movie made me cry. I still haven't seen me before you but I will!! I'm looking forward to fantastic beasts and inferno this fall.... That book scared the crap out of me! I wanted to watch Kingsmen! I never go to the movies! Seriously, aside from the Sundance Film Festival this year and last year, I haven't been to the movies once! I want to go see Miss Peregrine's next week when it comes out, but other than that, moves in DC are too expensive! My husband and I can do better with a $40 night out than go to the movies! I hate it! I do really miss Blockbuster though. There are so many movies I want to see that aren't available on Netflix! I started on this kick to buy movies too but I didn't own anywhere near 900! That's an accomplishment! The last movie I bought was Brooklyn but only because it was on sale for $5 at Target and I would have had to rent it for the same price at home. So I figured why not. Plus I own most of the animated Disney movies, but I tell myself that's just good planning for when I have kids. I think I'm gonna go see Bridget Jones by myself this weekend. I've really wanted to see it and no one has been able to come with as of yet. But I'm super excited to see it. Oh and I really liked Kingsmen too, until the end then I was rolling my eyes. But I've still watched it like 3 times since it's come out. I've been on the fence about the new Bridget Jones movie since I got wind of it. I LOVED the first movie and book, liked the next book and next film well enough, but the premise for this last film didn't really make sense to me (why tf wouldn't you just get an amnio and find out who the dang father is?! ), but I want to see it just b/c I love Bridget so much. I'll probably catch it before it leaves theatres. Glad to see that you enjoyed it. Ah, A Dog's Purpose looks like such a tear jerker! I know because I'm sitting here with teary eyes just from watching the trailer, haha! I felt the same way about The Jungle Book. It was fine. I'm so excited about B&tB coming up, though! That's going to be awesome! I had no idea that Matthew from Downton was going to be the Beast!